Plus Size Kitten: Summer Break Vol.1 by Youth Asia! Hello! the booking been extended to 19th June! I am still looking for 4 more people to enter my booking group to go this trip! (if i get min 10 ppl to go, the rate is only RM350 per person! so 4 more ppl! pls let me know if u wanna go! e-mail tammylci@gmail.com). Eat your own favourite breakfast, then make your way to the Departure Hall, Subang Airport to board the bus. -Departure Hall, Subang Airport – and board our Summer Break buses. Lumut port where we board the boats, and coaches to the resort. Grab a bite, unpack your bags, power nap, and buy your ’supplies’ for the night ahead. -4:00 pm – 6:00 pm – Hit the beach! (Optional) Beach activities like kayaking, wrestling, dodgeball, read, nap etc. (Included in the package) – Eat and get warmed up for the party ahead. Included in the package, that is, if you wake up in time. Optional activity. The Pangkor jungle trail is not too thick, and leads to rural villages, stunning views, and other private beaches. Mostly twenty-somethings from the Klang Valley, even mix of guys and gals. Some are fresh out of university, some come from all kinds of industries (advertising, law, entertainment etc), including people from exciting companies like Youth Asia, MindValley, and more. We have confirmed guests from Philippines, Vietnam, Lithuania, Canada, Poland, and Ecuador too! Performers for the beach party to be confirmed soon. All activities are optional. This is a “Free and Easy” Travel package with no obligation to participate in any of the items on the itinerary. Oh. And we also screen World Cup matches. 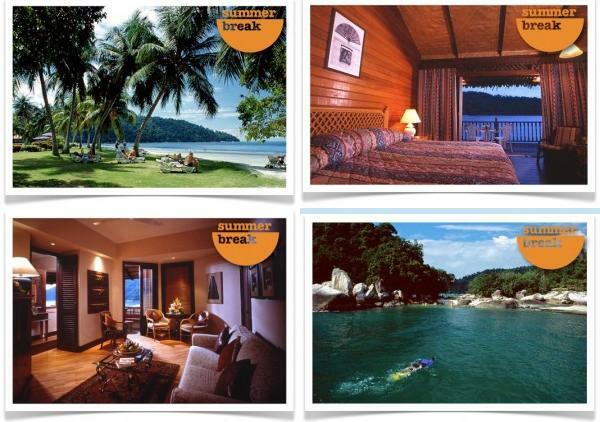 Summer Break provides a travel package of travel and accomodation. Once we get you there, and give you your room, what you want to do is your own business. We’re not responsible for what will / won’t happen to you, and everything you intend to do is your own decision. Everyone going will be above 18 years old, and should be able to take care of themselves. That being said… You have the freedom, you make the call. Bring your friends, meet new ones, and make this weekend the weekend of your life! Summer Break is travel package offered to Youth Asia and its friends, made possible with the help of Firefly, and the Perak Tourism Board. For bookings: Call Rudy 017-243 4731 immediately. A weekend like this rarely-ever happens! A subsidised road trip beach party private getaway with 500 friends? Seats are running out FAST – Either sit there wondering ‘What IF’, or call Rudy 017-243 4731 immediately to take the next step… This is Summer Break Volume 1! I so hope I can go.. but I got Redang trip..sob..
Boldy! be hearing from u soon!!! !